The city of Nantes, described ‘as the most liveable city in Europe’, is a 1.5 hour drive from L’Oceano D’Or in Jard Sur Mer and makes for a good day trip out. It is the sixth largest city in France, the largest city in the north west of France and is the capital city of Pays de la Loire and the Loire Atlantique departments. Located on the banks of the Loire River and home to over 900,000 people the picturesque and historic city is twinned with Cardiff in the UK. During the 18th century Nantes was the slave trade capital of France, meaning Nantes which was the largest port in France at that time soon become a very wealthy city. This is still very much evident today with its grand buildings and stonework. 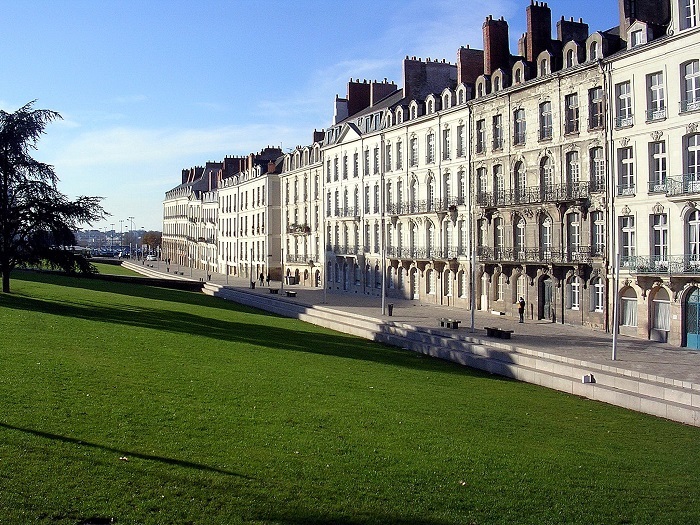 Nantes is divided into two parts; the old town and the new town. The old town dates back to medieval times and is set around the white stoned ‘Cathedrale de St Pierre et St Paul’ (The Cathedral of Nantes) and the Chateau des Ducs (The castle of the Dukes of Brittany). The new town was created in the industrial nineteenth century when the city was famous for its shipbuilding and was a major player in the importation of sugar, cotton and rum. It is now home to a great variety of museums and art galleries. 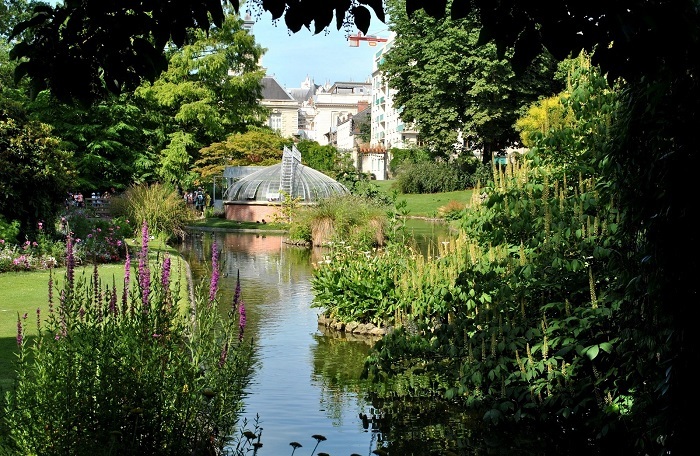 The ‘Jardin des Plantes’ is a municipal botanical garden with 11000 different species of plants and trees set over seven hectare of gardens and lakes. ‘Les Machines de L’Ile’ is a project to promote the ‘city’s images and tries to build an identity as a creative metropole of dream and of fantasy’. 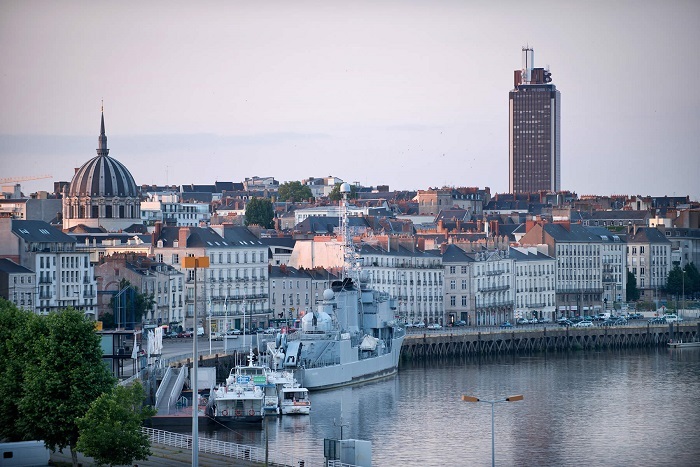 Located on the western tip of the Ile de Nantes and housed in the shipyard warehouses built in the 20th Century. Francois Delaroziere and Pierre Orefice are the two resident artists and designers who had a vision to create a ‘travel through time world’ with the imagination of ‘Jules Verne and the mechanical universe of Leonardo da Vinci’. The centre piece of the visit here has to be the giant moving machines. The Great Elephant is 12 metres high and 9 metres wide made from 45 tons of wood and steel and can carry upto 49 passengers. 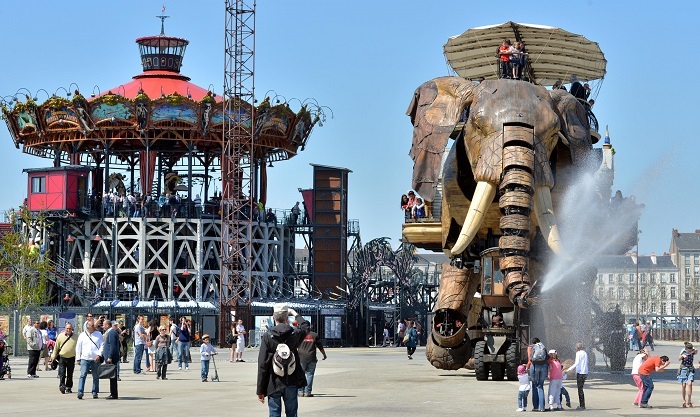 You can ride around the warehouse and Nantes on the giant elephant (with its working trunk spraying water!) throughout the day. They have a great website which you can also book tickets on. 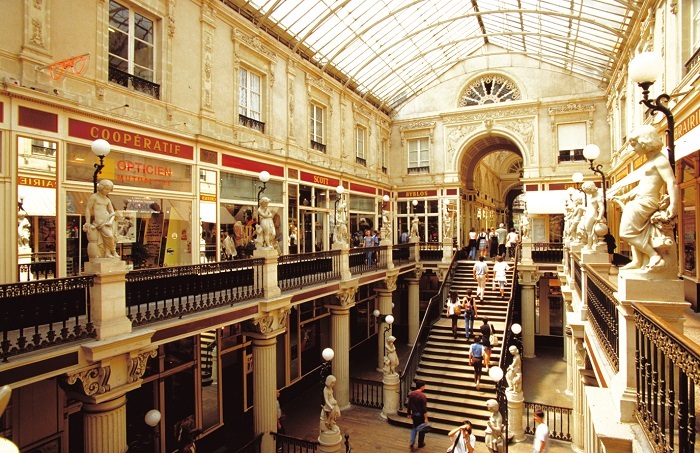 ‘Passage Pommeraye’ is a small shopping centre set over two levels between Rue Santeuil and Rue de la Fosse’ with beautiful elaborate architecture including renaissance style sculptues. It was constructed between 1840 and 1843 and was classified as a historic monument in France in 1976. 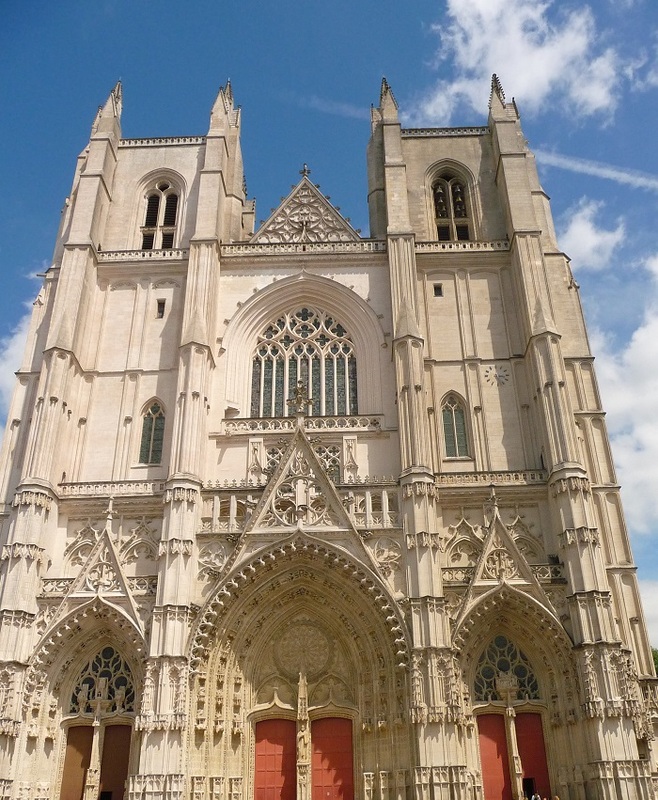 ‘Catherdrale de Saint-Pierre et Saint-Paul’ is the very impressive and well maintained Gothic cathedral in Nantes. The construction of the Roman Catholic cathedral started in 1434 and it took 457 years to finish being completed in 1891. In 1972 a fire started on the roof of the cathedral and caused considerable damage to the wooden beams on the roof as well as inside after the fire the Cathedral was fully refurbished and it is the most complete interior restoration of a Cathedral in France to date. 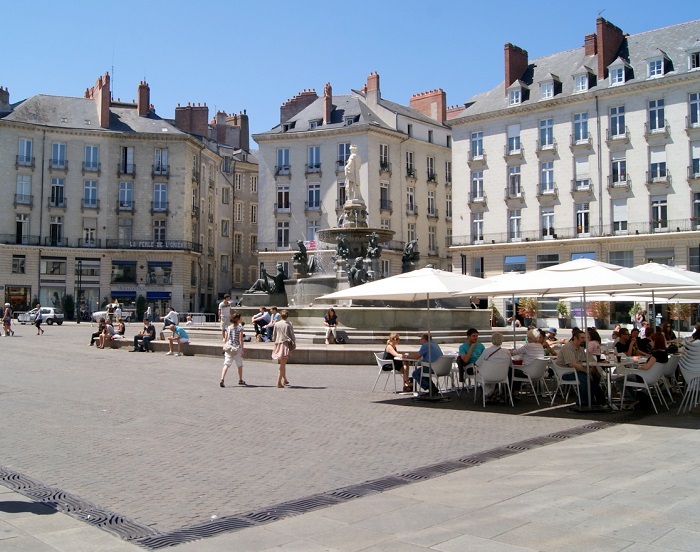 ‘Place Royale’ is a large square surrounded by grand buildings and in the middle sits a beautiful fountain. Next to the square is Saint Nicholas Church, a 11th Century church that was rebuilt in 1478 which boasts an impressive organ that was built in 1901. 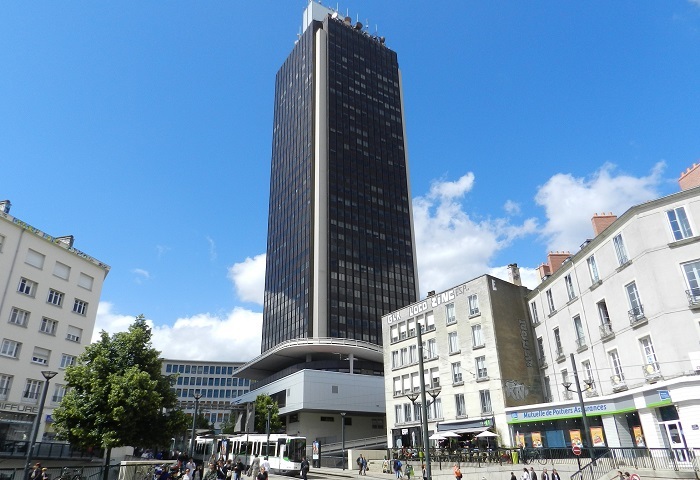 ‘Tour Bretagne’ is the tallest building in Nantes. The 37 storey tower was opened in 1976 and although it struggled at first to be commercial success there are now over 800 people working in the tower every day. It has an observation platform and bar/coffee shop on the top floor which gives you a fantastic view over Nantes and beyond. 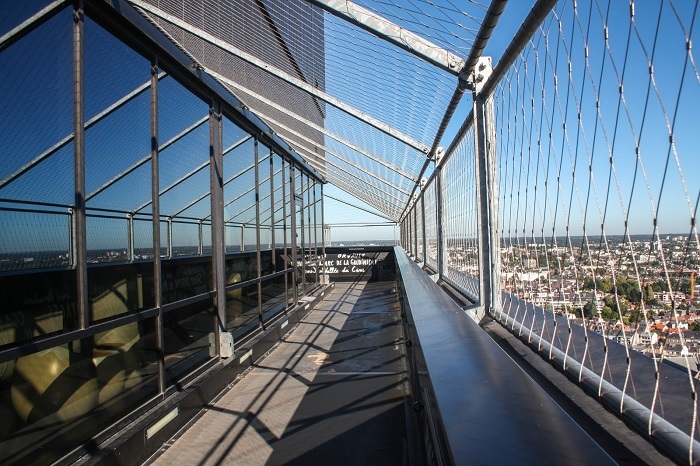 It is also free of charge to go to the top of the tower and get a great view of Nantes. We are taking bookings for summer 2017…..send an email to info@thomasjamesholidays.co.uk or give us a ring on 01942 602104 if you fancy a holiday in the Vendee and visiting Nantes this summer!